Father R.M. Hickey’s first hour on Juno Beach, rendering the traditional services of the military chaplain, made a deep impression on the men of the North Shore Regiment, recurring even in this fiftieth anniversary year of the Normandy landings.2 Yet the figure of the chaplain, praying, giving Sacra­ments, comforting the dying, preaching in the field and burying the dead has been part of Canada’s Catholic heritage since the days of New France, creating a tradition which, in the place of formal training, served as an inval­uable model for the neophyte padres who served in Canada’s twentieth century wars. Nevertheless, the padre’s life in the field remains a shadowy memory in the warrior lore of most Canadians. This paper will trace the field ministry of Canadian military priests from the days of the Northwest Rebellion to the middle of this century. In the era before Cold War anxieties stimulated Canadians to embody a standing Army (and a permanent cadre of chap­lains), no cleric hanging about militia camps and regimental church parades prepared too seriously for wartime ministry. Yet, occasionally, and espe­cially during World Wars I and II, they confronted battlefield realities for which no seminary or summer camp could prepare them. By 1939, both the torch and the accumulated lore was being handed on personally from one generation to another, as former altar boys and students of the Great War veterans exchanged cassock for khaki. Their experiences confirmed that, though technology, tactics and the scale of war itself had changed from that waged on the smoky prairies of the Canadian Northwest or the sweltering killing grounds of South Africa, there remained a strong continuity in the field work of the padre which linked them to the pioneers of 1885 and 1900. To Catholics following events in the field, their insistence on active service padres was well worth the argument with Caron. Both war reporters and veterans immortalized Prévost and Faguy in their tales told Canadian Catholics back home. At the battle of Frenchman’s Butte, Prévost, in white surplice, blessed the Carabiniers before the attack on Big Bear’s band, and, when a casualty was left behind, Prévost and the force commander, General T.B. Strange, went back with a stretcher and rescued him while under heavy fire.6 Father Faguy, on the other hand, did not see any fighting, as the 9th garrisonned the railway stations in Southern Alberta, but there he shone as the dedicated priest, shuttling back and forth between detachments by handcar to give Sacrament to all, exuding bonhomie in all directions.7 Thus the two priests created a contemporary model of military ministry which became almost the ideal in the minds of Canadian soldiers and civilians. That night, it was O’Leary who laid the dead to rest by moonlight, making an indelible impression on the minds of the Royal Canadians. O'Leary’s determination to follow his men through all privations, however, led to his collapse with enteric fever contracted from contaminated water, and evacuation to Canada after weeks in a British hospital. Just a few days after Paardeberg, the fighting priest of the Royal Canadians ended up out of the war and headed for home. As a result of these reforms, the battlefield ministry began to grow to the level of effectiveness that padres demanded. In 1915 they had been too few and far between.21 They had no time to venture into the trenches, despite clear signs that this was necessary to win the affection of the men and assist them where they fell. Forced to wait in the rear, or minister at Casualty Clearing Stations as men were brought in long after being hit, often uncon­scious, dead or dying, most padres chafed under British and Canadian army regulations which forbade them access to the front line.22 A few, such as Ambrose Madden, a forty-one year-old Oblate from Vancouver, however, against advice (and regulations) followed their units into the line. There Madden earned a Military Cross, the first decoration for Canadian chaplains of all denominations, for binding up wounds, leading blinded men to dressing stations under fire, and digging out others buried by shelling. His cheerful courage was credited with steadying the men and won general praise from the officers.23 After the Mount Sorrel battle, fought in June 1916, Corps Commander Julian Byng made it clear that all his padres would be welcome to serve in the front line, and the British Army soon withdrew its regulations forbidding padres to go ahead of the dressing stations. Some officers and Senior Chaplains, however, still frowned on priests scattering their efforts over an extended battlefield. Madden himself was forced to see the wisdom of those who argued for a conservative policy at Hill 70, the hotly-contested struggle for the high ground north of Lens which the Canadians took part in that August. He tried to cover the three Regi­mental Aid Posts of his brigade by going forward to visit them, one by one. He never made it beyond the first two: the intense artillery fire playing over his sector and the hectic activity with wounded and dying in his first station absorbed all his time and energy. Unable to bring the wounded on stretchers down into the dugouts, Madden spent the worst day dressing wounded, praying and anointing in the open, hastily burying the dead in circles around him, as the bodies decomposed so quickly in the August heat.29 Clearly the dilemma remained unresolved: was it not necessary that a few Catholic men die without ministry, so that the padres could see the many in the dressing stations? The condition of the battlefield at Passchendaele that autumn, which ruled out the highly-organized and tightly scheduled rotations of Vimy and Hill 70, provided both sides of the debate with more ammunition. Veterans could not recognize their old battle haunts of 1915-1916: rain and ceaseless shelling had turned them into miles of reeking, murdered earth. Getting into the front line meant taking a nightmare journey along slippery “duckboards” in darkness, harassed by intense shelling and aerial bombing. 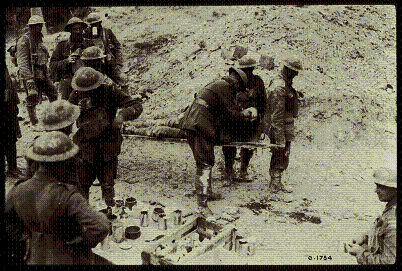 For stretcher bearers it meant hours of deadly and exhausting labour, requiring from six to sixteen bearers to extricate each casualty from the ooze. Scattered among the blasted ridges and hollows were small concrete emplacements built by the Germans and dubbed “pillboxes” by the Canadians. The only safe shelter above ground, these were commandeered by officers, medics and padres for first aid and command posts. Passchendaele thus made it abundantly clear that the current allotment of four priests to a division, while better than that of 1915-1916, was never­theless completely inadequate to the needs of Catholics under fire. Either greater numbers, or greater mobility was needed in future. It also provided the inspiration to push for priests spending more time in the line and under fire: the quality of their ministry depended upon their freedom to meet the men where they fell, or as near as possible. Whether or not they would be able to meet such a challenge, with their few numbers, remained an object of great concern to senior Catholic chaplains, such as W.T. Workman, in London, and F.L. French at Canadian Corps headquarters. It was a thoughtful group of Catholic chaplains who set out in the summer of 1918 to prepare their men for the fall offensive, which all hoped would be the last of the war. This sense of urgency was met by renewed efforts of both the home church and the Chaplain Service to be ready for the fray. At the end of May, Bishops Michael F. Fallon and G. Gauthier arrived, to meet with chaplains and Catholic troops, and encourage them with addresses on faith and war. The Holy Name Society campaign by Father R.A. Macdonnell, a Canadian Benedictine of the 4th Division, raised so much interest and sympathy among troops of all denominations, that it was endorsed by senior officers and resulted in pledges against profanity being signed by several thousand soldiers, many of them Protestant. 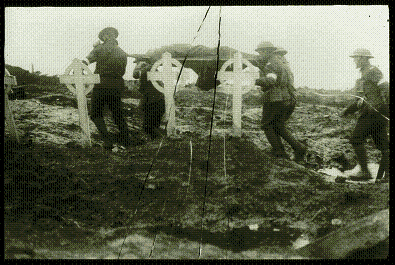 Many chap­lains during the fall battles were deeply moved on discovering signed pledge cards in the personal effects of the dead they found on the field.39 The anti­cipation of victory as well as more intensive operations may have added to the almost revivalistic tone among Catholic chaplains in the Canadian Corps. Moreover, additional priests arrived, as the Army and Canadian Government added to the numbers at hand. Thus, when the Canadian Corps slipped into their positions before Amiens on August 7, 1918, ambitious plans, including the Catholic chaplains, were about to be realized. The exhilaration of victory, however, soon was replaced by the trials of an army in occupation and garrison duty. The moral perils and pitfalls soon brought the venereal disease rate in the C.E.F. to alarming proportions. Chaplains of all denominations joined with medical officers to warn soldiers of the perils of leisure and lust. Catholic chaplains renewed the Holy Name Society campaign to promote chastity among the troops on leave. At the same time, they rallied the Chaplain Service to oppose mass distributions of prophylactics with special lectures and sermons. Equally effective were the efforts to enlist Cardinal Mercier, Belgium’s most distinguished prelate, to have civic officials close brothels.49 By then word of rioting in Canadian camps in England, especially Kinmel Park, in Wales, also brought reports from other padres about their work toning down soldier indignation and impatience with their demobilization plans.50 Clearly, by spring 1919, all the padres were relieved to get their men back to Canada, and their own home clergy! In one of the last few official actions of the Service, John O’Gorman and two assistants visited the Vatican in May 1919, for an audi­ence with the Pope. As O’Gorman reported on the eighteen field decorations earned by Canadian chaplains, “the Pope, looking at the list, said ‘You have no decoration.’ I answered no. At this Fathers Planet and Carleton chorused: ‘Il était blessé’ –- and the Pope answered ‘You will be decorated in heaven’”.51 Other chaplains received Papal commendation in a more tangible form: the bestowal of a Papal Portable Altar on seventy-nine chap­lains by Benedict XV. This became clear in the opening days of the World War II. In order to avoid any repetition of the bitter disputes in Ottawa and overseas, the Cath­olic hierarchy insisted that Catholic chaplains be under their own separate but equal Chaplain Service. Bishop C.A. Nelligan was appointed, by the Minister of Defence, as Head of the Roman Catholic Active Service Force chaplaincy. In addition, a number of veterans of the Great War re-enlisted to guide the opening years of chaplaincy anew, until old age or changes in active service conditions forced them to leave the field. Padres such as Ronald MacGillivray, Thomas McCarthy and G. Coté lent their expertise, MacGillivray now as Senior Chaplain of a Division. By October 1940, at least eighty-four Catholic chaplains were on full-time postings, with at least forty more enlisted as part-time chaplains. Twenty-four had gone overseas, and many more would follow over the next five years.56 While the early years of preparation in Britain, again, seemed to lead officials and some officers to think of padres as rear area adjuncts, soon the old lessons and dilemmas reappeared, which seemed insoluble unless chaplains could get into the forward area. In the meantime, the days of waiting – which stretched out to three or four years – in Britain, brought back to most chaplains the perennial problems of training, morale, and morality. As before, the best chaplains took part in training – including weapons drill – with their men, and kept busy with entertainment and welfare work, as well as spiritual ministry.57 Occasionally collisions with commanding officers who distrusted Catholics, and padres in general took place. Most taxing, to wisdom and tempers, however, were the countless cases of moral deterioration – “woman trouble” – as it was dubbed, marital infidelity, or sudden romances which kept men coming to the padres for advice.58 Some chaplains seemed relieved to set sail for Italy and Normandy, if only to separate the men from their moral entanglements and temptations to indiscipline. Although army chaplains could leave many of these problems behind – at least until the mail caught up with them – naval and air padres based in England were continually confronted with the moral and domestic coun­selling dilemmas, without the prestige among the men that combat duty could bring them. When an Air Force station chaplain tried to fly with a crew on a bombing mission, he would be in deep trouble with the station commander. Fr. J. Philip Lardie, with 428 Squadron, found this out when he returned to Middleton St. George after riding with a Lancaster crew during a 1944 raid on Kiel. Though buffeted about the flight deck as the bomber dodged fighters and flak, he was more wounded by the punishment meted out by Wing Commander Chester Hull the next day for disobeying orders.59 Rightly or wrongly, Air Force authorities were convinced that a padre going missing over Germany was both politically and militarily bad for morale. Nevertheless, station padres had their own brushes with war’s horrors, as damaged aircraft crash-landed and burned, dead and wounded crewmen had to be recovered, identified and buried, and letters written to next of kin. Some of the hardest duties involved making calls to families whose loved one had gone missing over Germany the night before. Many found, as their predecessors had in France and Flanders, the special mood of their pre-combat services both awe-inspiring and exhila­rating. Most tried to visit the scattered detachments of their men bringing Sacrament once each week. Men who in England had avoided confession or service now came, humble and sincere. The words of the service took on special poignance: earlier memories of soldier devotions and the peaceful hush of English camp outdoor services flooded into Hickey’s mind in 1944, as he buried many of these same men in the Normandy soil, just as Murdoch, Macdonnell and MacGillivray had experienced at Vimy, Passchendaele and Amiens.65 And all reported the appreciation and gratitude felt by men, as they died, that they had received the ministry of the clergy in the hour of their death. As with their predecessors, these chaplains faced the consequences of accompanying the men to the front: Fr. F.J. Deloughery was captured by the Japanese at Hong Kong, while padre Thomas Mooney, from Hamilton, Ontario, was killed by shellfire while ministering to wounded a few weeks after D-Day: he was buried in the Canadian cemetery at Eccloo, Belgium. As a tribute, the Protestant chaplains of his formation served as pall­bearers.66 On February 28, 1945, Fr. J.R. Dalcourt of Rimouski was killed when his vehicle hit a land mine while returning to the Régiment Chaudière from funerals at Bedburg. A few hours later, Hickey and Fr. McCarney laid him to rest in the cemetery he had just left that morning.67 Like other priests unhappy with rear area postings, Dalcourt had agitated for a front-line post since D-Day. He had been with the regiment since November 1944, relieving the battle-exhausted Father Huard. After surviving night visits to outposts under fire, and a much talked-about stealthy Christmas Night visit to advanced posts with Communion, his soldiers were saddened by news of his death in the relatively calm rear area.68 For such priests, as for others who were wounded, the military cost of discipleship was devastatingly real. Although far more research remains to be done on the pastoral experi­ence of the World War II for Canadian chaplains, some general conclusions may be drawn from juxtaposing their experience with those of the Great War padres. First, chaplains in both wars noticed that the padre encountered extremely high expectations from his men – a padre was to be embodiment of all Christian virtues, especially courage and sincerity. He was NOT to act or think like the other officers, but be, above all, a priest. All chaplains learned of the absolute necessity of getting “up front” with the men and acting as personal as well as official pastor, whenever possible. In any way possible, even rear area chaplains learned that they must be willing to share all the risks as well as activities of their men, which posed special problems for Canadian air force and naval chaplains. Chaplains of both wars found their emotions stretched on active service. The time spent in aid posts with men, of soldiers dying comforted by their ministry before they passed on, gave chaplains many bittersweet memories, which often needed to be communicated to next of kin. As much as most padres dreaded writing these letters, they often were consoled by the grateful replies relatives sent, thanking the padres for whatever they had done for their loved ones. In this respect, chaplains in both wars often carried some of the responsibility for maintaining home front morale as much as that at the front. Padres, too were deeply moved by the burial of their men, often soon after reconciliation with the church, or in a field service punctuated by noises of war. The emotional drainage they felt continually tested their stamina, as did the physical demands of active service. Often they needed to care for local Catholic civilians as well as soldiers, especially in Italy, where, unlike France, many priests were not in close touch with local people or had fled or been killed. Able to use local chapels freely, they were impressed by “the universality of the Catholic faith”: able to cross all national and military barriers, even with the enemy. In both wars, chaplains felt, whatever the state of organization, supply or transport, that they were too few on the field. Torn between absolutes, most chaplains faced the universal dilemma of which soldiers, which positions, which units, which ranks should receive priority? 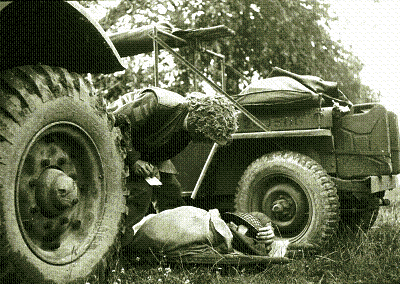 Here he was helped by greater mobility and speed of casualty evacuation, thanks to the jeep, in the World War II! In looking back, the field padre’s mind often filled with traumatic memories: the smell of death, awe and horror at the extent of destructiveness of man (especially after battles such as Cassino); the horrors of burying men long dead and often blown to pieces or burned to cinders, and incredible physical and spiritual exhaustion. Yet, most could find plenty of redemptive memories: the beauty of Creation (significantly, often in dawn and wild­flowers) in midst of slaughter; of men reconciled to the church after falling away; of most men not skipping Sacraments while in the field; saying mass in the most unlikely places, yet with such poignant sincerity; of hearing men saying the rosary while shells or aircraft screamed overhead. They recalled chumming with Protestant padres and finding sectarian differences fading into trust and respect, of former ecclesiastical enemies sharing use of crucifix and of Protestant officers honouring Catholic rights; of Senior officers taking them into confidence; of hospital and camp work: especially pastoral counselling and writing long letters; and of no little national pride in the quality of their men and how they lived up to their best national tradi­tions when on active service. For most, their war experience, harrowing, and often leaving deep physical and psychic scars, was nevertheless a time of empowerment and affirmation of their faith; of special faculties, of experi­encing a special kind of love and respect from their men, and a deepening of their own faith. The study of recent and contemporary Canadian chaplaincy remains. Major areas still to be covered include a complete survey of the World War II, of Korea, Cold War and peacekeeping operations. Of particular interest must be the study of Canada’s Cold War/peacetime ministry, a reversal of the role and work of the Canadian chaplain between 1945 and the 1990s, especially as the lore of war gave little guidance to these latter padres, now encountered a standing force of men constantly in training and emphasizing preparedness, but at peace and who with a type of congregation few earlier padres would have been equipped to deal with by their field experience: married soldiers and dependents living on bases requiring schools and chapels, not dressing stations and aid posts.71 More work needs to be done in the study of the padres’ relationship with the church through these years. Before these, however, it remains to stop and appreciate the contributions of the forerunners of today’s chaplaincy, in this anniversary year of Normandy – for the insights which ought not to be forgotten. 1R.M. Hickey, Scarlet Dawn (Campbellton: Tribune, 1949), pp. 193-197. 2J.A.L. Robichaud, North Shore Regiment, quoted in Maclean’s, June 6, 1994, pp. 45-46. 3J.J. O’Gorman, “Canada’s Greatest Chaplain,” Catholic Register, 1916, p. 6ff, and Walter Steven, In This Sign (Toronto: Ryerson, 1948), p. 3. See also J.R. O’Gorman, “Canadian Catholic Chaplains in the Great War, 1914-1918,” Canadian Catholic Historical Association (hereafter CCHA), Historical Studies, (1939-1940), p. 71-72. 4Canadian Military Institute, L.H. Irving, ed. Officers of the British Forces in Canada During the War of 1812 (Welland: Tribune, 1908, pp. 20, 35, 102. 5E.R. Chambers, Histoire du 65ème Régiment Carabiniers Mont-Royal (Montreal: Guertin, 1906), p. 94; also G. Beauregard, Le 9me Bataillon au Nord-Ouest, (Quebec: Gingras, 1886), p. 6, 14; and C.R. Daoust, Cent-vingt jours de service actif (Montréal: Sénécal, 1886), p. 22. 6T.B. Strange, Gunner Jingo’s Jubilee, (London: Remington, 1893), p. 492; also Chambers, 65ème, p. 114. 7Beauregard, pp. 23, 28,41-42,47-48, 53-56, 67. 8Desmond Morton, “Des Canadiens errants: French Canadian Troops in the North­West Campaign of 1885,” Journal of Canadian Studies, vol. 5, No. 3 (August, 1970), pp. 33-37. 9 NAC, RG9, Ila, Deputy Minister of Militia's Correspondence, vol. 373, 13304, Lt.­Col. Roy to Panet, March 31, and reply April 2, 1894. 10For an example of the militia chaplaincy at work before the Great War, see Jean­Yves Gravel, L’Armée Au Québec: un portrait social, 1868-1900, (Montréal: Boréal Express, 1974), pp. 85-86, 103-104 and Chambers, 65ème, p. 130. 11T.G. Marquis, Canada’s Sons on Kopje and Veldt (Toronto: Canada’s Sons Pub. Co., 1900), pp. 241-242. See also Gaston Labat, Livre d’Or, (Montréal: n.p., 1901), pp. 92, 128-134, also Russell Hubly, “G” Company, or Everyday Life in the R.C.R., (St. John: J.& A. McMillan, 1901), pp. 15, 56. See also Desmond Morton, The Canadian General, Sir William Otter, (Toronto: Hakkert, 1974), pp. 120, 201. 12Desmond Morton, “The Short, Unhappy Life of the 41st Battalion,” pp. 74-78; also RG9, IIIC15 (Canadian Expeditionary Force, Chaplain Service Records, 1914-1921), vol. 4615. 13For a detailed discussion of this controversy, see Duff W. Crerar, “Bellicose Priests: the Wars of the Canadian Catholic Chaplains, 1914-1919,” CCHA, Historical Studies (1991), pp. 21-39. 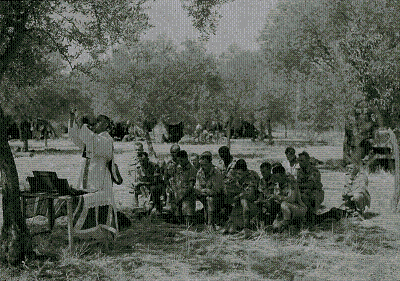 14Although the degree of cultural and linguistic conflict among Canadian Catholics in World War II can only be speculated on, Canadian Great War chaplains repeatedly attested to the incompatibility, especially in preaching and counselling, between English-speaking troops and French-speaking chaplains, see NAC, RG9, IIIC15, vol. 4648, Workman file, F.L. French to Workman, April 30,1917; vol. 4623, J. Fallon file, Fallon to R.H. Steacy, September 1916; vol. 4665, “Reports, RC Chaplains, France,” R.C. MacGillivray to French, July 28, 1918. 15See Catholic Register, September 30, 1915, p. 4, and NAC, RG9, IIIC15, Vol. 4616, W. Beattie file, Beattie to R.H. Steacy, November 1, 1915; also RG9, III B 1, vol. 1106, file N-2-4, Steacy to D.A.A.G., Pay and Records Office, September 3, 1915 and reply September 18, 1915. 16Catholic Register, September 16, 1915, p. 4; also NAC, RG9, IIIC15, vol. 4623, J.F. Fallon file, Fallon to R.H. Steacy, Sept 2, 1916. 17B.J. Murdoch, The Red Vineyard (Cedar Rapids, Iowa: Torch Press, 1923), pp. 192, 213-214, 235-237. 18NAC, RG9, IIIC15, vol. 4646, W.T. Workman files, also vol. 4623, J.P. Fallon file, vol. 4621, C.V. Doyon file; also vol. 4674, “ADCS, London, RC, Correspondence,” Workman to Almond, March 21, 1917; also Vol. 4622, W.H. Emsley file, Workman press release and letter to D. Jones, editor of Pembroke Observer, July 1918. 19I.J.E. Daniel and D.A. Casey, For God and Country: War Work of the Canadian Knights of Columbus Catholic Army Huts (Ottawa: 1922), pp. 11-19, and Catholic Register, August 30, 1917, January 24, 31, April 25, and September 12, 19, 1918. See also NAC, RG9, IIIC15, vol. 4666, “Reports,” file 4, E. Laws to Workman, August 10, 1918. 20NAC, RG9, IIIC15, vol. 4674, “ADCS, RC, London” file, 185th Battalion Officers to DCS, April 26, 1917, and reply; see also vols. 4634, 4635, R.C. MacGillivray files, Almond to Bishop of Antigonish, March 5, and March 15, 1917. 21NAC, RG9, IIIC15, vol. 4643, A.L. Sylvestre file, 1915 reports. 22Nevertheless, dangers still existed, as German long-range and medium artillery often caught CCSs in their shelling. At the Mount Sorrel battle in spring of 1916, Father W.H. Thornton had his eardrums blown in and was permanently deafened when his CCS was shelled, NAC, RG9, IIIC15, vol. 4644, Thornton file. 23NAC, RG9, 111C15, vol. 4621, A. Madden file. See also Canada, August 26, 1916, p. 246. 24NAC, RG9, IIIC15, vol. 4623, J.A. Fortier file., also vol. 4636, J.J. O’Gorman file. 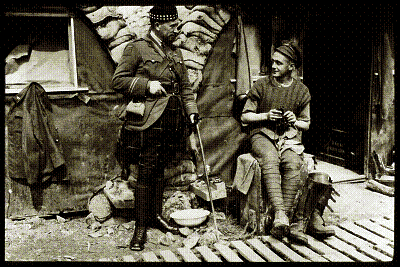 25So A.M Gordon, Senior Chaplain of the 4th Division was told, when he tried to post his Catholic padres in the Courcellette aid posts during October 1916. NAC, RG9, IIIC 15, vol. 4665, “Reports, R.C. Chaplains, Britain” file, unsigned report of Catholic chaplains at the Somme, October 1916. 26Murdoch, Red Vineyard, pp. 188-195; see also R.C. MacGillivray report of May 28,1917: “sincerely hope Fritz will shell my congregation in future,” NAC, RG9, IIIC15, vol. 4665, “Reports, RC Chaplains, France, 1917-1918” file. 27NAC, RG9, IIIC15, vol. 4667, “Chaplain Reports” file 13, A.M. Gordon Report, Vimy Ridge. 28On Madden, see NAC, RG9, IIIC 15, vol. 4675, “Extracts of Chaplain Reports” file. 30NAC, RG9, IIIC15, vol. 4665, “Reports, R.C. Chaplains, France,” Macdonnell report, October 26-November 3, 1917; MacGillivray report, November 3, 1917, see also Vol. 4623, M.F. Fallon file, Workman to Bishop Fallon, December 5, 1917. 31NAC, RG9, IIIC15, vol. 4665, Reports, RC Chaplains, France, 1917-1918, MacGillivray report, Passchendaele. 32NAC, RG9, 111C15, vol. 4623, Fallon file, W.T. Workman to Bishop M. F. Fallon, December 5, 1917. 34Murdoch, Red Vineyard, p. 174. 35Murdoch, Red Vineyard, pp. 170-175, 188. 36NAC, RG9, IIIC15, vol. 4631, Madden file, also Canada, March 23, 1918, p. 334. 38Canada, April 13, 1918, pp. 37, 51; also J. Chaballe, Histoire du 22e Bataillon Canadien-Francais, 1914-1919 (Montréal: Les Editions Chantecler, 1952), pp. 324-325. See also J.R. O’Gorman, “Canadian Catholic Chaplains...,” CCHA, Historical Studies (1939­1940), p. 75. 39Murdoch, Red Vineyard, p. 198. 40Murdoch, Red Vineyard, pp. 242-246. 41NAC, RG9, 111C15, vol. 4665, “Reports, RC Chaplains, France” file, Fathers Lowry, Murray, Thompkins, August 1918. 42NAC, RG9, 111C15, vol. 4665, “Reports, R.C. Chaplains, France” file, French to Workman, August 17, 1918. 43NAC, RG9,111C 15, vol. 4644, Thompkins file, Thompkins to French, September 23, 1918. 44See Canada, January 18, 1919 and December 14, 1918, and W. Boss, The Stormont, Dundas and Glengarry Highlanders (Ottawa: Runge Press, 1952), p. 129, also NAC, RG9, 11105, vol. 4665, “Reports, RC Chaplains, France” file, Murray report, Amiens. 45NAC, RG9, IIIC15, vol. 4665, “Reports, R.C. Chaplains, France,” Letang Report, October 1918. 46Murdoch, Red Vineyard, pp. 238-240, 253-257 and R.C. Fetherstonhaugh, Thirteenth Battalion, Royal Highlanders of Canada (Montreal: Gazette, 1925), p. 120. 47Murdoch, Red Vineyard, pp. 262-269, 290. 48Casualties had been so high, in fact, that French had been forced to detach a Glengarry priest, Ewen Macdonald, to the 22nd Battalion, to replace their padre, a victim of poison gas. A Gaelic-speaking Glengarrian, he explained, was the closest equivalent to a French-Canadian available! NAC, RG9, IIIC 15, vol. 4665, “Reports, R.C. 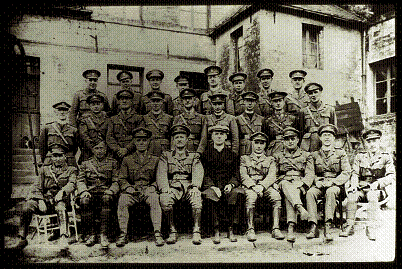 Chaplains, France” files, especially E.J. MacDonald report, and McCarthy report, November 17, 1918. Murdoch’s symptoms began to appear in the Amiens campaign: nervousness, tension, quarrelsomeness, then a growing numbness and tendency towards apathy and inaction, Red Vineyard, pp. 288-294. 49NAC, RG9, IIIC15, vol. 4665, “Reports, R.C. Chaplains, France” file, see reports by PT Kelly, J.R. O’Gorman, W.L. Murray, also Vol. 4648, file # 3, J.J. O'Gorman to Workman, March 10, 12, 14, 1919. 50As I.J.E. Daniel recalled, the turmoil “made one think of the French Revolution. The disorder kept up all day, assisted by beer, but there was some killing done in the afternoon and that quieted things down,” NAC, RG 9, IIIC15, vol. 4621, Daniel file, Daniel to Workman, March 7, 1919. 51NAC, RG9, IIIC15, vol. 4648, W.T. Workman file, O’Gorman to Workman, May 8, 1919. 52Clifford Bowering, Service: The Story of the Canadian Legion (Ottawa: Canadian Legion, 1960), pp. 36-37. 53These vows were discreetly kept from public debate, but can easily be found between the lines of the writings of J.R. O’Gorman, himself a former padre, between the wars, see his Soldiers of Christ: Canadian Catholic Chaplains, 1914-1918 (Toronto: Archdiocesan Press, 1936). 54Hickey, Scarlet Dawn, p. 16. 55 Murdoch, Red Vineyard, p. 56. 56J.R. O’Gorman, “Canadian Catholic Chaplains in the Great War,” CCHA, Historical Studies (1939-1940), pp. 71-83. 57Hickey, Scarlet Dawn, p. 49; also Will R. Bird, North Shore (New Brunswick) Regiment (Fredericton: Brunswick Press, 1963), p. 104. 58Hickey, Scarlet Dawn, pp. 49-54, 61-63, 131-133. 59Spencer Dunmore and William Carter, Reap the Whirlwind (Toronto: McClelland and Stewart, 1991), pp. 321-322, 367. 60G.W. Stephen Brodsky, God’s Dodger: the Story of a Front Line Chaplain (Sidney: Elysium Publishing, 1993), pp. 160, 168, 175, 178; see also Archbishop Joseph Wilhelm (Three Rivers Regiment and Fifth Armoured Division), quoted by Cathy Majtenyi, in The Catholic Register, June 25, 1994, p. 15. 61 Brodsky, God’s Dodger, p. 174-175; Smith, What Time the Tempest, (Toronto: Ryerson, 1953), pp. 221, 294, 396, 463. See also the personal diary of Rev. Roy Dumford, Anglican Chaplain to the Seaforth Highlanders in Italy, March 3 and October 1, 1944, in Department of National Defence, Directorate of History, Ottawa, Canada. 62 Brodsky, God’s Dodger, p. 190; Hickey, Scarlet Dawn, pp. 178-179. 63Hickey, Scarlet Dawn, pp. 207-209, 250,254; Smith, What Time the Tempest, p. 221. 64J.S. McGivem, “A Jesuit Padre in the Italian Campaign: His Work – His Impressions, His Companions,” CCHA, Historical Studies (1945-1946), pp. 43-55. See also Archbishop Joseph L. Wilhelm (who served in the Italian campaign), quoted in Barry Rowland, The Padre (Scarborough: Amethyst, 1982), p. 165. 65Ibid., pp. 49-50; also 185-189, 191, 212, 251. 66 Ibid., p. 234; Steven, In This Sign, p. 113. 68Death report and obituary of J.R. Dalcourt, in NAC, Department of National Defence, Personnel Records, Job 30, Microfilm Reel #83. Thanks to Major Albert Fowler, Chaplain (P), for providing me with a copy of this document. 70Ibid., p. 244; also Murdoch, Red Vineyard, p. 216. 71Pierre Doyon, “Aumôniers Catholique dans la marine royale de Canada de 1939 à nos jours,” (M.A., U. of Ottawa, 1968, passim).